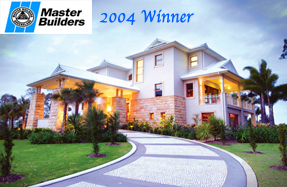 “I had the pleasure of dealing extensively with Scott Doohan of Doohan Developments during 2007 when he built our family home at Mermaid Beach. Having dealt with many builders on numerous projects over the years, and I am pleased to say that I found Doohan Developments to be an excellent company who proved very easy to work with, displaying honesty, efficiency, competence and reliability of the highest order at all times in every facet of their work. We would like to thank the team at Doohan Developments for the exceptional work they have done building our home. Selina and I would like to express our sincere gratitude for all the effort you put into our magnificent home. It exceeded all our expectations. The professionalism showed by Scott and his team in designing, specifying, budgeting and planning every aspect of our house confirmed Doohan Developments as meticulous builders who set the benchmark in customer service and satisfaction. We have no hesitation in highly recommending Doohan Developments to anyone wishing to build a new home. My company, Alan Griffith Architect Pty Ltd, has designed a number of residential projects recently constructed by Doohan Developments on the Gold Coast and I have found Scott Doohan to be a building contractor of high integrity. Both the standard of finish and the quality of the workmanship achieved are very high and his attention to detail and co-operation with owners, consultants and sub contractors on job sites results in a well managed high quality product. I have no hesitation in recommending Doohan Developments for any construction project of suitable scale. We have used Doohan Developments for a major renovation of our home and also for an office build and fitout in our new business premises. 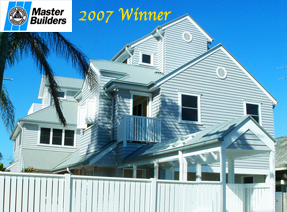 It was a pleasure to work with Scott and his team, who were always helpful and professional in their dealings with us. Our projects came in under time and under budget and the finished projects exceeded our expectations in excellence and design. We would not hesitate to recommend Doohan Developments for any building project.